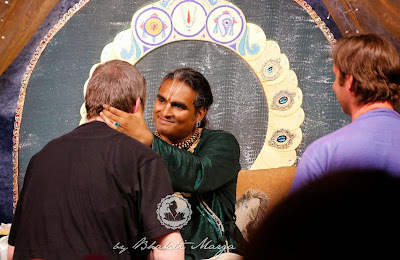 Last Saturday, at Shree Peetha Nilaya, Sri Swami Vishwananda gave an individual Darshan to more than 600 people. 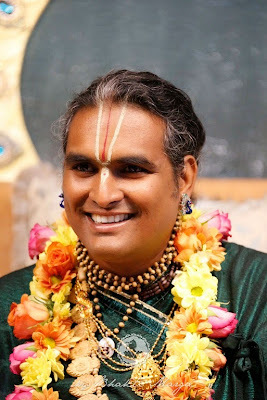 Once again we could experience how the Lord gives Himself out of His Love and compassion for mankind, pouring out His blessings on everyone who comes to His physical presence, in the form of a Satguru like Sri Swami Vishwananda. “My name is Suresh. I am from Kiel, northern Germany. 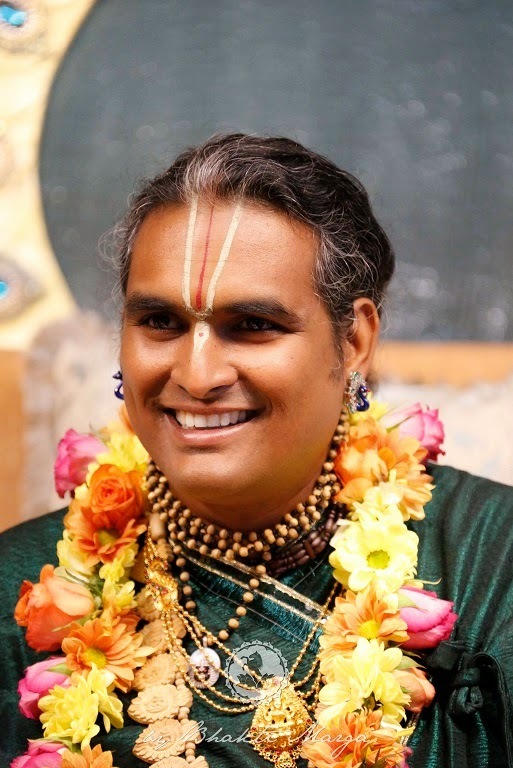 I have been on the spiritual path for nearly 50 years and before meeting Sri Swami Vishwananda I had six other gurus. 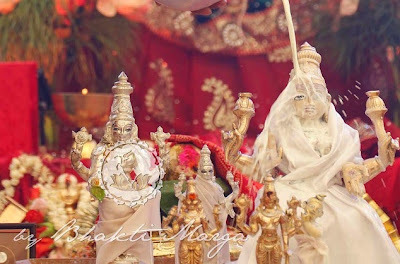 When I was twenty, I wanted to have only one God, one Guru and one wife, but life is sometimes not so easy. 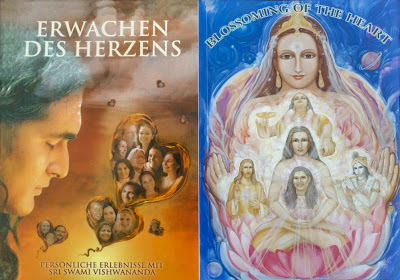 I had more than one woman; I had some gurus and I never wanted to leave them. The relationship with my last guru lasted for twenty five years and I used to go to India every year. However, if the Satguru is calling your soul, you can't help but come to him and I'm very happy to have met him in this life. During the first twenty years of my spiritual path, I only wanted to become enlightened. The next ten years I only wanted to live very intensively, and since I met Sri Swami Vishwananda I only want to love. I think it's enough, because in my experience, he gives us everything that we need. 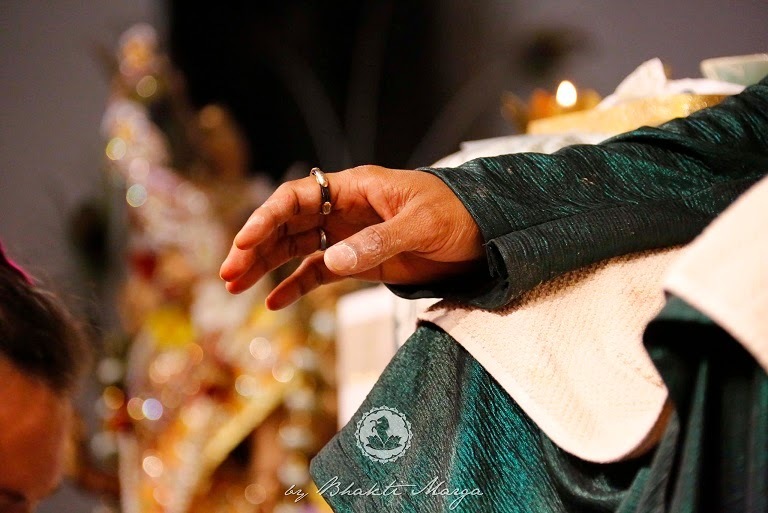 Today, I would like to share with you two experiences I had with Swamiji. He wrote me in that email, “My dear Rolf, I was there when your mother died. She is fine now.” It was incredible to get such an email; this meant everything for me and was such a great consolation. I was very happy that he was also taking care of her. So, there are two main messages in this story. One message is that there is no death. 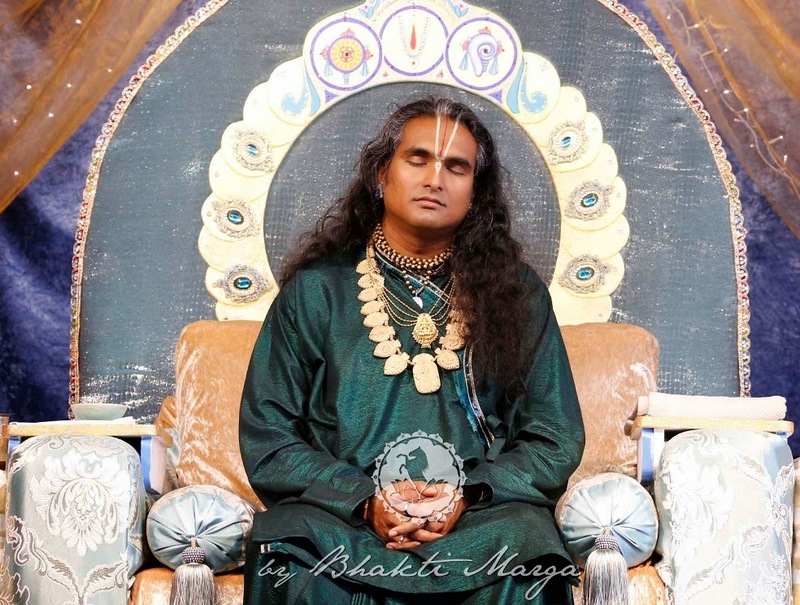 And the other is that the Master, the Satguru is really there, not only for you, but also for your parents, bringing them up to the higher worlds or to wherever they have to go. When I finished performing the abishekam went into the kitchen to clean the puja utensils and was feeling very happy, quite proud because everything had gone very well, there was only that one mistake. Suddenly Swamiji came into the kitchen and said, “Hi Rolf!” Then he tapped on my shoulder and said pointing to the milk and yogurt containers, “Oh Rolf, look! This is milk and this is yogurt. This is not milk and this is not yogurt!” (The audience laughs.) “Do you understand? Bye bye!” And then he left. 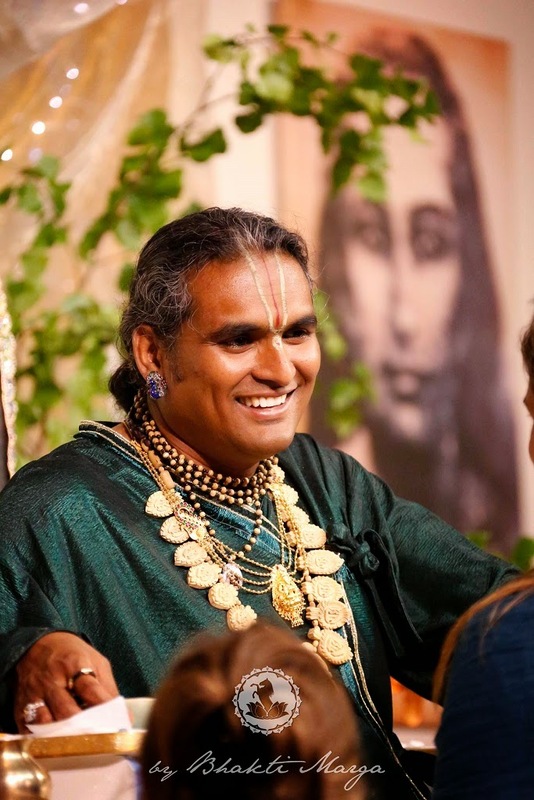 In Blossoming of the heart, relatives, friends, devotees and disciples from different countries and different cultural backgrounds share their very personal experiences with Sri Swami Vishwananda.